Huffle Mawson, Explorer Cat: Talk Like a Pirate! Mr Puddy's mum very kindly made me this picture last year. And I like it so much I am using again this year! Avast me hearties! Can anyone help me make Teddy walk the plank? Arrrr, ye be a beauty and no mistake m' lady. Very lovely, Lady Huffle. I love the whole poster and you look beautiful! Miss Huffle, CC is sharpening his swashbuckling sword! Great Dane in the morning, Huffle! Are you trying to make all the man cats drop over!?!? You look GORGEOUS in that photo!!! SHEESH!!!!! Huffle, you make a very beautiful lady pirate! Aw, that's an awesome picture! Avast and ahoy my lady - you make a beautiful pirate! Arrrrr, matey! Ye be a fine pirate wench! AWWWW !!! Miss Huffle , you are very sweet !!! Mum said " smoochie "
We like bein' band 'o pirates fer a day 'n bein' bad! grog-filled Meow Like a Scurvy Pirate Day! Huffle1 Wow! Me would repost a picture that gorgeous too! A fine bonnie pirate ye make! Arrrr, Lady Huffle! Yer be-yewww-tiful! We can't help ye make Teddy walk the plank, though. We loves the both of yah. MOWZERS! Our mommy completely let us down today on this one, so we've come over here to say ARRRRR' MATEY! Miles has Nicky swabbing the poop deck or pooping the deck, so you might want to wait to make Teddy walk the plank. Hey Huffle Mawson! It's me, Dave - Zim's big brother. Me and Zim have an award for you. Just ... you know. Because. Thank you for your kind words about Tamir. We will miss our very special ManCat but know he lives on in our hearts. That's a great pirate picture of you, Huffle. 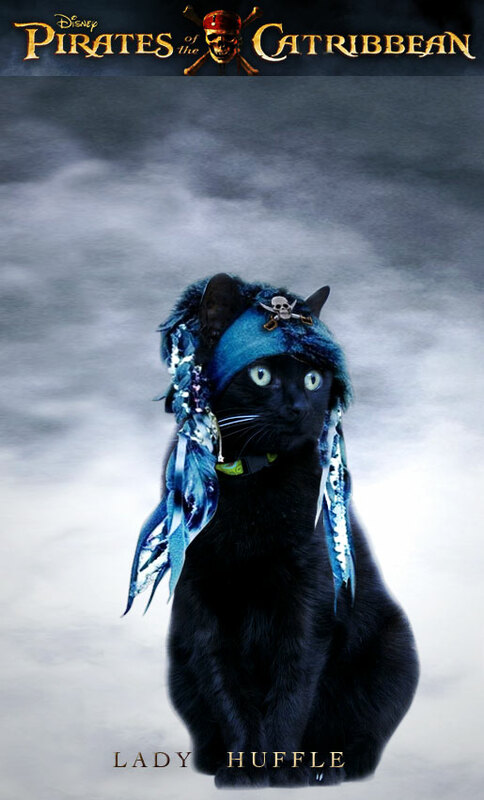 My stupid Mom made us miss Meow Like a Pirate Day again! I can't believe it.